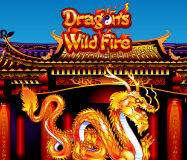 CasinoBonusNews → Casino news → "Casumo Casino launched a new gaming machine Dragon’s Wild Fire"
Dragon’s Wild Fire is the latest slot machine powered by Novomatic and available at Casumo Casino. It has 20 paylines and 5 reels, but its biggest attraction is the free games feature because it offers stepping wilds. This means that players can choose a direction where wilds will move and replace other symbols. You can win 15 spins for free! Besides, this online slot offers the Flaming Re-spin Bonus game. This is where stacked Dragon icons and wild symbols are locked while players are awarded with re-spins. You can play this incredible Novomatic game at Casumo Casino for 20p per 1 spin almost on any device. It’s all about Chinese mythology and dragons that symbolize luck. All symbols in this casino game are Chinese-themed, and flaming wilds are very lucrative because they can reward players with multiplying their stakes up to 500 times if they get 5 of them. This online slot is graphically superb, so it offers a lot of fun in addition to excellent cash prizes and gaming experience. It’s a high-variance slot machine, so you can expect for high winnings to be added to your gambling portfolio. The best part is that you’ll enjoy every spin while playing Dragon’s Wild Fire because it’s made for players.